The Original Wild, Wild West. 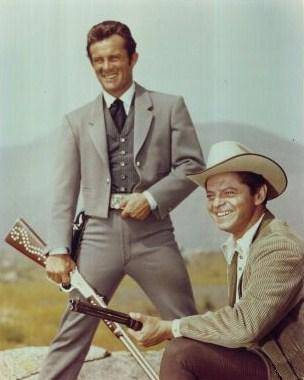 As a little girl, I loved watching westerns on TV. Wild, Wild West was by far my favorite, with my Fonzie-sized crush on Robert Conrad. The program was part sci-fi, part James Bond and part good ol’ Western –all parts always entertaining. I also fell prey to the Big Valley (with Steve Austin – the 6 Million Dollar Man one, not the wimpy wrestler) and of course Bonanza. The common theme of the shows was that there was a clear-cut line on who was the bad guy and who was the good guy. Come on, sometimes the bad guys even wore a black hat to help you pick him out. There was always an ending in which the good guys won and the bad guys lost and or saw the error of their ways. Right now, I feel like I am in the middle of an old fashioned Western, guns blazing and all, but the line is so blurred between sides, I can’t tell who is good and who is bad. I work in what I affectionately refer to as a bad neighborhood. I think I have no idea how bad things actually are, and its better that way. What I see up close and in person daily is what I had previously only seen on NYPD Blue. Since I have been back to Cleveland, I have witnessed drug deals, and have been within a couple blocks of robberies and shootings. There has been a disturbing trend as of late that almost, *almost* makes me want to stay home or at the very least not venture out for lunch. A month or so ago, in broad daylight on a weekday afternoon, a couple of kids were chasing another kid. No big deal right? The exception here is that the kids were chasing the other young man on bikes and running through a busy McDonald’s parking lot. Shooting. Guns. Shooting guns. A coworker was in the drive thru when the kid being chased was running in between the cars waiting for their happy meals. With the other kids *shooting* at him. Later in the week, the other kids caught up with him and shot him in a store parking lot a few blocks away. Well, I think it was the same young man and the same kids chasing him. Could be another group. At the end of last week, within less than 30 minutes of me leaving work, less time than it takes to get a pizza, it happened again. There was another kid being chased by another group of kids in the early evening, running down the street, guns blazing. This time, the kid was shot and killed, in a parking lot directly across the street from me. Had I stayed a little longer, I very easily could have been caught in the crossfire. Some days, it is like the Wild West around here. It leaves me with a few options though. Do I quit my job? No. My work is too important to me and it is a necessary part of making Cleveland a better community. Do I hide in my office and eat lunch at my desk? No. I can’t eat stupid salads all the time. I need to venture out to the Red Chimney for pierogies sometimes.